Tinnitus is any sound you hear in your ears or head. It is usually described as a ringing, buzzing, humming, hissing, or whistling. Tinnitus can be intermittent or constant and can be localized to one ear or both ears. Some people describe it as “in the head” because it sounds equally loud in both ears. 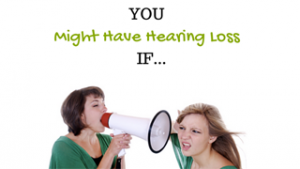 Tinnitus is common in those with hearing loss, but can occur on its own. Tinnitus affects people in different ways. For some, it can be a minor annoyance, while for others it can greatly impact their life. The two main forms of tinnitus are subjective and objective tinnitus. Objective tinnitus is rare and accounts for only 5% of the cases of tinnitus. The noise can not only be heard by the person with the tinnitus, but can also be softly heard by others. It is usually a pulsatile tinnitus, meaning it pulses in sync with the person’s heartbeat. Subjective tinnitus accounts for 95% of all tinnitus cases. The tinnitus can only be heard by the person experiencing it. The tinnitus sound can vary greatly from person to person, from a low pitched humming to a high pitched ringing, and any noise in between.